When a Galapagos tortoise suffering from sarcoma needed help in 1983, zookeepers at the Staten Island Zoo called Mark Dewhirst, DVM, PhD, a young scientist at University of Arizona who had been conducting clinical trials on dogs using radiotherapy. They were hoping radiotherapy might also help the tortoise — named Jalopy because he scooted around with the aid of a skateboard contraption after losing mobility from his many surgeries — so they shipped him Dewhirst’s way. Dewhirst’s ingenuity in rigging up a system to treat the 80-year-old tortoise, a species he’d never treated before, lengthened the tortoise’s life and made headlines. The grandson of farmers and the son of a science professor at University of Arizona who studied parasites in cattle, Dewhirst said he grew up around animals, first in Kansas and then in Arizona. He seemed to be destined for veterinary medicine. 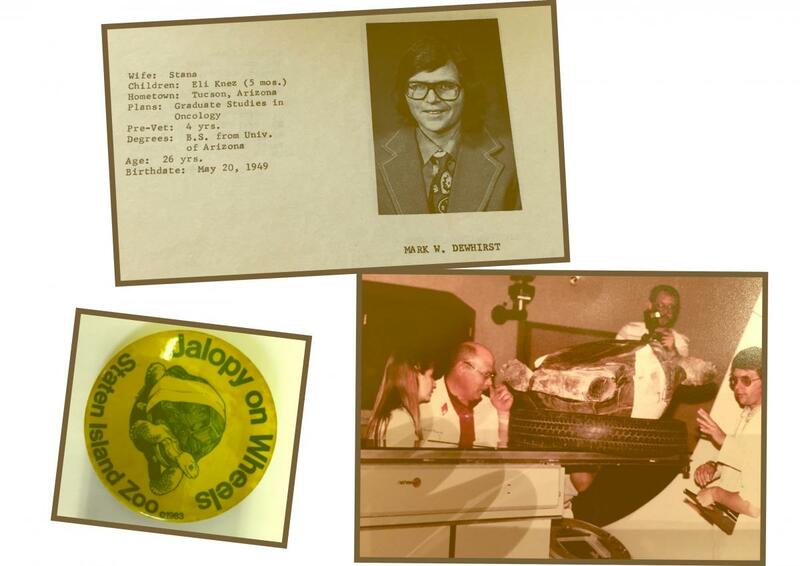 After earning an undergraduate degree in chemistry from University of Arizona and doctorates in veterinary medicine (1975) and radiation biology (1979) from Colorado State University, he joined the faculty at University of Arizona. His research career spanned more than three decades, most of them at Duke. Come the end of the semester, Dewhirst — now vice director for basic science at Duke Cancer Institute and professor of radiation oncology, biomedical engineering and pathology — says he’s hanging up his lab coat. The Dewhirst Lab, which focuses on the tumor microenvironment, specifically as it relates to tumor metabolism and hypoxia and ways to improve treatment modalities, including hyperthermia, is shutting down. Dewhirst, who turns 68 this month, and radiation oncologist James Oleson, MD, now retired, were recruited to Duke in 1984 from the University of Arizona for their work in hyperthermia, a cancer treatment whereby body tissue is exposed to high temperatures and cancer cells are sensitized to radiation and chemotherapy or killed. At the time, Dewhirst was also being recruited by Colorado State University and by the University of Wisconsin. 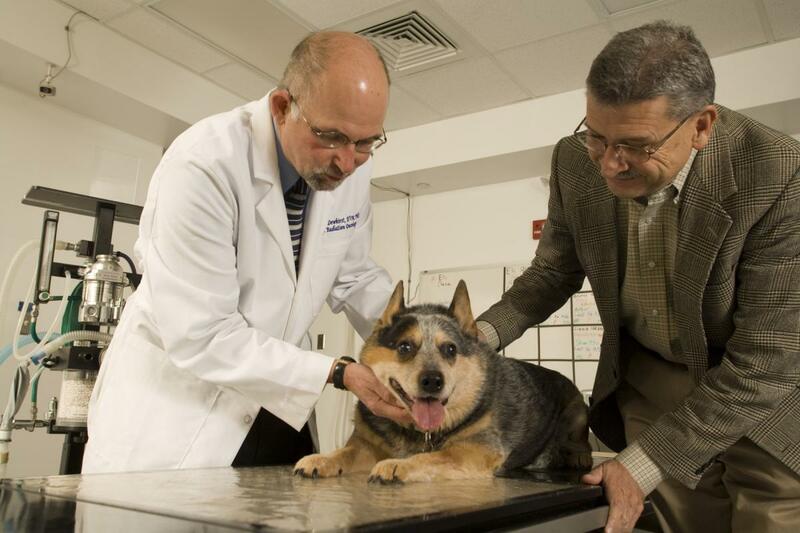 Much of Mark Dewhirst’s knowledge about hyperthermia came from 30 years of canine comparative oncology research. While at Duke, Dewhirst has also conducted extensive work on oxygen transport and hypoxia (the deprivation of oxygen) in tumors. Dewhirst authored and co-authored more than 100 papers on the subject of tumor hypoxia. Much of the clinical work was done with Duke radiation oncologist David Brizel, MD, who arrived to Duke a few years after Dewhirst. Later the two of them published the first paper that showed that hypoxia in soft tissue sarcoma predicts for metastasis, which hadn’t been shown before. 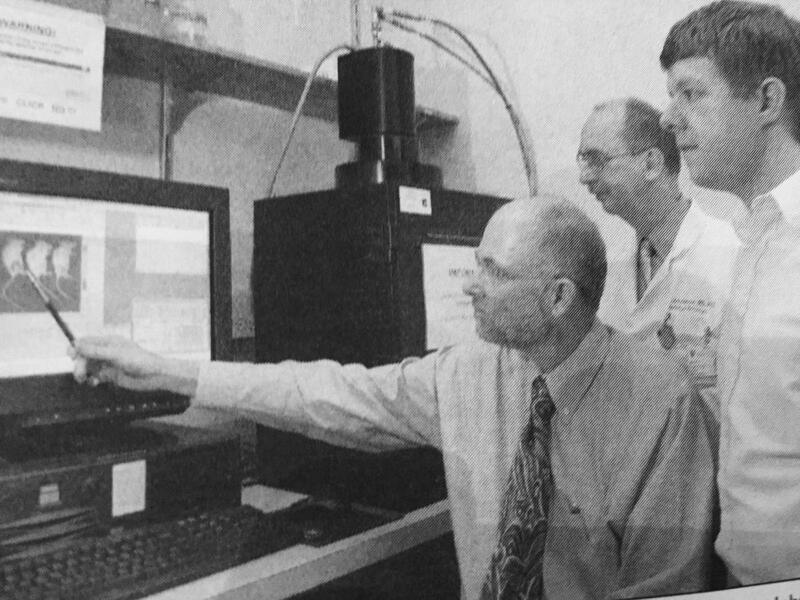 While at Duke, Dewhirst also collaborated with David Needham, PhD, in the Pratt School of Engineering, to develop a novel thermally sensitive drug carrying liposome that was successfully translated to human clinical trials. Dewhirst is finishing out his research career on cancer and exercise. While there’s good epidemiological data, by other researchers, that shows that people that exercise regularly have a reduced lifetime risk for developing cancer, Dewhirst’s work is focused on how, post-cancer diagnosis, the combination of exercise with drug therapies or with radiation affect tumor physiology and treatment response. You can take Dewhirst out of the lab, but you can’t take the lab out of Dewhirst. He’s still fascinated with tumors. Dewhirst said that in his ‘retirement’ he’ll be working “about 60%” as much as he was before. 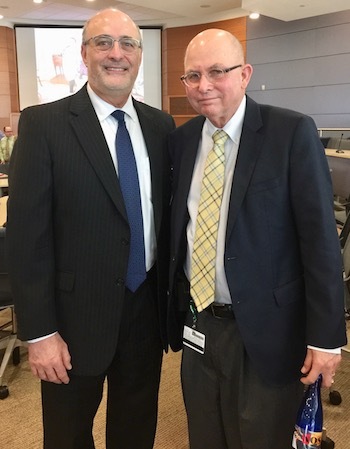 In his retirement, Dewhirst plans to continue on as vice director for basic science at DCI; staying to help DCI director Michael Kastan, MD, PhD, with the competing renewal of the Cancer Center Core grant. He’ll also continue teaching in the Medical Physics program. Kastan said his first introduction to Dewhirst was almost 20 years ago when he served on an NIH study section and reviewed one of Dewhirst’s grants. In addition to his DCI position, Dewhirst plans to stay on as associate dean of faculty mentoring in the Duke School of Medicine that he’s held since the position’s creation in 2011 to enhance researchers’ success in obtaining grant funding and mentoring. The coaching program he created, which has been used as a retention and recruitment tool by the School of Medicine, brings together three or four senior faculty with a lot of NIH study section experience with two to three more-junior applicants; helping them obtain DOD and NIH fellowships, K awards (individual training grants) and first R01 grants. Dewhirst is proud of the results. 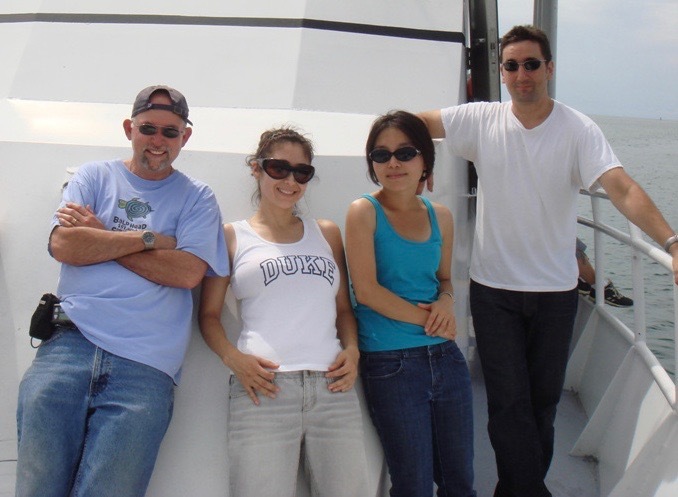 In 2011, he said, the success rate for first R01 applicants from Duke was around 9.8 percent. The current success rate is 27 percent. The national average for K award acceptance is around 30 percent, but with Duke researchers it’s 65 percent. The office of Ann Brown, MD, MHS, the vice dean for faculty at Duke University School of Medicine, has been running that particular program since the end of January, while Dewhirst has turned his attention to “increasing appreciation for good mentorship” across the school. He’s working part-time to develop mentoring resources through the Duke CTSA grant, a five-year, $47 million grant awarded to Duke in 2013 by the NIH as part of its Clinical and Translational Science Awards (CTSA) program. He organized a joint mentoring workshop with University of North Carolina at Chapel Hill in January targeted to all levels of faculty and researchers, and another one will be held in June. The plan is to replicate this three times a year. 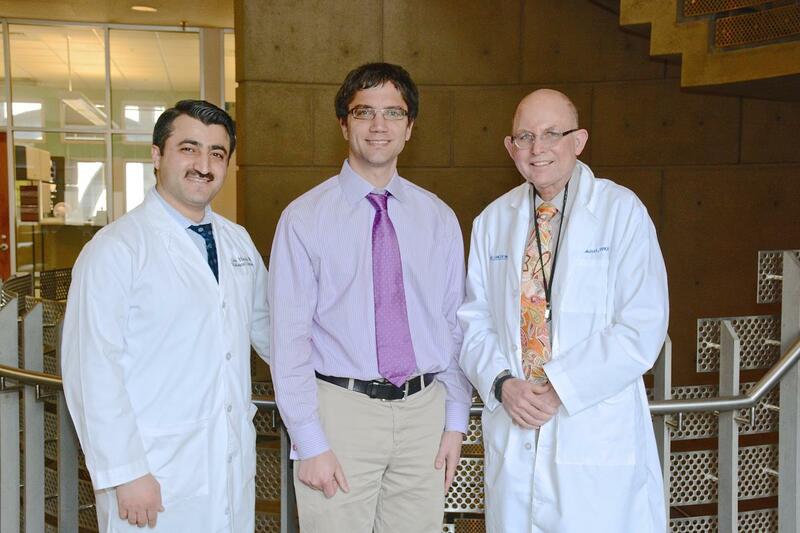 He’s personally mentored several dozen graduate students, postdoctoral fellows, residents, junior faculty and medical students. 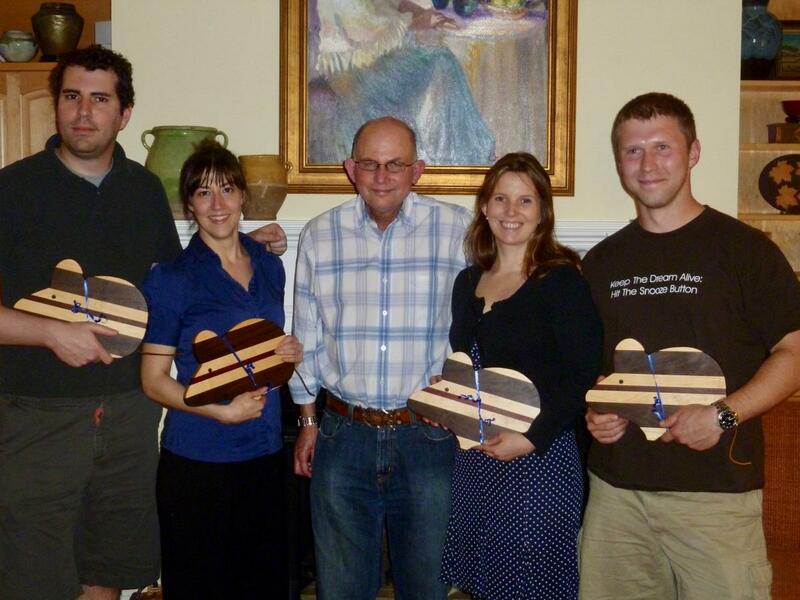 “My best students were those I learned more from than I ever taught,” Dewhirst said. In addition to Brizel, his mentees at Duke include radiation oncology faculty members Greg Palmer, PhD; John Kirkpatrick, MD, PhD; and Janet Horton, MD; breast oncologist Kimberly Blackwell, MD, whom he helped get a K grant for research she conducted in his lab for five years; and biomedical engineer Nimmi Ramanujam, PhD. One of his trainees in canine comparative oncology, Mary-Keara Boss, DVM, PhD, is now a veterinary radiation oncologist at Colorado State University. Gregory Palmer, PhD, an associate professor of radiation oncology, has also worked with Dewhirst for 12 years, including in his lab. A researcher with an engineering background, he now manages his own lab, the Palmer Lab. "I learned alot from him about tumor biology and physiology and how to work together in a large multidisciplinary team and run a lab," said Palmer. "Still, today, he's the first person I go to when I have a problem. He's a great listener and a great advocate and always has great advice." Many of his colleagues believe Dewhirst’s ‘retirement’ is up for debate. “I am glad that Mark is only choosing to ‘slow down’ and not ‘retire’; Mark in slow-down mode is still a big plus for DCI and the institution,” said Kastan. When Dewhirst’s “five-year-plan” for easing into a full retirement is finished, the father of three boys and “a grandcat and granddog” will likely have more time for his hobbies — traveling (mainly Europe and Hawaii), reading (including autobiographies and crime novels), and hanging out at his beach condo. And he will join his wife Nancy, a retired nurse, in doing volunteer work with Urban Ministries. He may also write his life story. The Department of Radiation Oncology will host the Mark Dewhirst Career Celebration at the JB Duke Hotel on Saturday, June 10, and Sunday, June 11. Guest speakers include among many others, Pierre Sonveaux, PhD, professor, professor of Pharmacology and Therapeutics at the Université Catholique de Louvain; Albert van der Kogel, PhD, professor, Department of Human Oncology at the University of Wisconsin School of Medicine and Public Health; Chang Song, PhD, professor emeritus, Department of Radiation Oncology at the University of Minnesota and Martin Brown, PhD, professor emeritus, Department of Radiation Oncology at Stanford University.